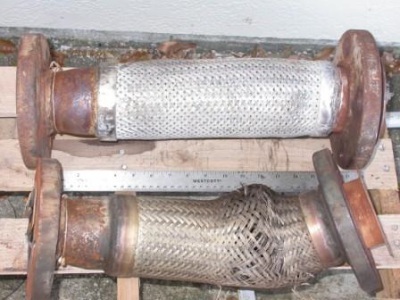 E & S Consulting, Inc. 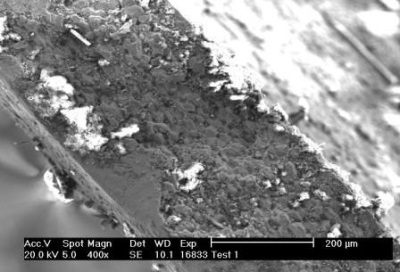 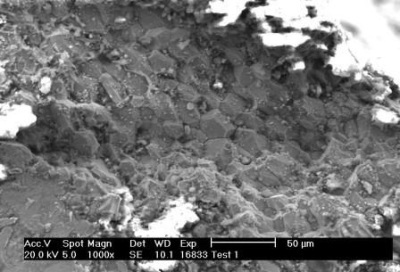 The presence of intergranular cracking at the fracture surface indicates that the failure occurred by the combined action of corrosion and tensile stress. 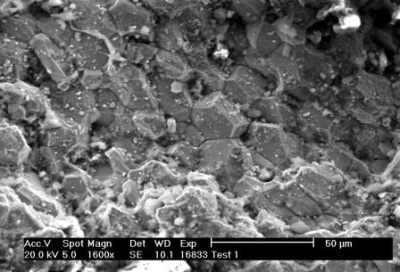 The cracking occurred in a brittle manner as evidenced by the lack of ductility in the area in and around the fracture. 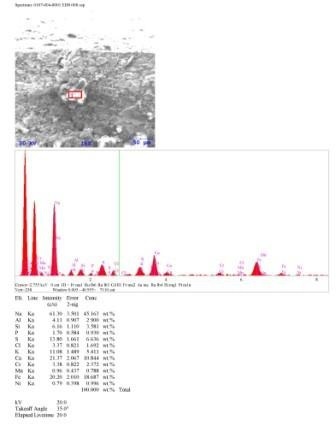 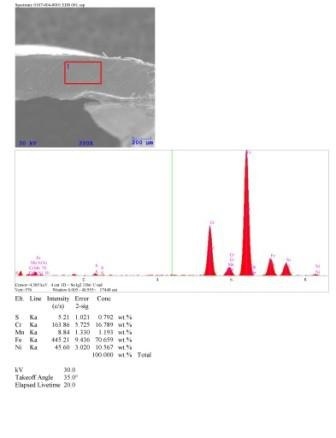 Stress corrosion cracking of austenitic stainless steels can occur by chloride attack or by a number of different species of sulfur including H2S and polythionic acids. 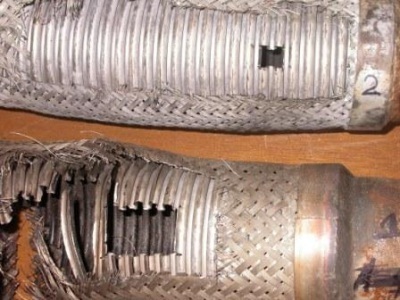 Both sulfur and chlorine were detected by EDS on the fracture surface of the failed flex hose.